Latest News: JEE Main 2019 Admit Card Available @jeemain.nic.in - Download Now !! About JEE Main 2019: Joint Entrance Examination Main 2019 (JEE Main 2019) is a National Level Entrance Examination conducted by National Testing Agency (NTA) from the year 2019 for admission into Engineering (BE/ B.Tech) and Architecture (B.Arch/ B.Plan) in top NITs, IIITs and CFTIs, SFIs, State Engineering Colleges for Participating States and other Participating Institutions. About NTA: National Testing Agency (NTA) has been developed as a premier, autonomous, specialist and self-sustained testing organization to conduct entrance examinations for fellowship/ admission in top educational institutions. Conducting Authority: JEE Main 2019 is conducted by National Testing Agency (NTA) from the year where previously it was conducted by Central Board of Secondary Education (CBSE). Level: JEE Main 2019 is a National Level Entrance Examination conducted in all the major cities across India. Frequency: The JEE Main 2019 is conducted twice a year in the month of January and April. Exam Paper: The examination will be conducted in two individual paper i.e. Paper I - Engineering (BE/ B.Tech) Paper II - Architecture (B.Arch/ B.Plan). Counselling Process: (Joint Seat Allocation Authority) has the credit to conducts JEE Main Counselling process for the Participating Institutes. NTA releases the Content-based Lecturer on their official website. Mock Test is now available on the official website for JEE Main. Photograph and Signature without the date in the Application Form are accepted. NTA has organized more than 2000 free Computer Practice Centers to ensure that students get familiar to the functionalities of the Computer-based Test (CBT). Registration: Application Form was available on the official website JEE Main 2019 from 8th February 2019 and the last date to submit the Application Form was on 7th March 2019. Correction Window: The correction window was available for the candidates to change any particulars in the Application Form on 8th October 2018 to 10th October 2018. Admit Card: The Admit Card has been released by the NTA online for all the aspirants on 20th March 2019. Examination: JEE Main 2019 will be conducted online i.e. Computer-based Test (CBT) and offline i.e. Pen & Paper-based Test (PBT) for Drawing from 7th April 2019 to 12th April 2019. Results: Results will be declared on the official website for all category candidates based on qualified marks on 30th April 2019. Counselling: Candidates who have cleared the JEE Main 2019 will be called for the counselling process which will be held on 25th June 2019. Education: The candidates must have passed 10+2 or other equivalent examination in the year 2017/ 2018/ appearing in 2019 from a recognized Board of Education are eligible to appear for JEE Main January and April Sessions. For BE/ B.Tech: The candidates must have passed 10+2 or other equivalent examination with Mathematics and Physics as a mandatory subject along with one of the Chemistry/ Biotechnology/Biology/Technical Vocational subjects with minimum 75% marks for general category candidates and 65% for SC/ ST category candidates from a recognized Board of Education. For B.Arch/ B.Plan: The candidates must have passed 10+2 or other equivalent examination with Mathematics as a mandatory subject with minimum 75% marks for general category candidates and 65% for SC/ ST category candidates from a recognized Board of Education. Reservation of Seats: As per Government of India rules candidates belonging to certain categories are admitted to seats reserved for them based on relaxed criteria. Other Backward Classes (OBC) if they belong to Non-Creamy Layer (NCL). Persons with Disability (PwD) with 40% or more disability. Benefit of reservation for admission to NITs/IIITs and CFTIs shall be given only to those classes/ castes/tribes which are in the respective central list published by the Govt. of India. For admission to State Engineering colleges who have opted for admission through JEE Main 2019, the reservation rules of that State shall apply. The letter/e-mails/grievances/RTI cases/ Court cases regarding reservation criteria will not be entertained by NTA. Registration: Application Form was available on the official website i.e. https://nta.ac.in/ from 8th February 2019 and the last date to submit the Application Form was on 7th March 2019. Correction Window: The correction window was available for the candidates to change any particulars in the Application Form on 11th March 2019 to 15th March 2019. Registration Fee: The registration fee should be paid through mediums such as Credit Card/ Debit Card/ Net Banking/ UPI/ Cash Deposit (through e-challan at State Bank of India Branches only). Note: Before filling up the application form the candidate should have a scanned image of his/her recent photograph and signature in running hand. These scanned images are to be uploaded during the submission of application form. The photograph should be colored or black/ white (but clear contrast) with the name of the candidate and date of taking the photograph printed on it. Registration through Aadhar Card: The use of Aadhaarby the candidates for JEE Main 2019 will result in an accuracy of the candidates’ details. Aadhaar obviates the need for producing multiple documents to prove one’s identity. Fill Online Application Form: Candidates can fill the online Application Form by entering details such as Authentication, Examination, Personal, Academic, Contact, and Guardian. Verification of Mobile Number and Email: Once the candidate entered all the above-mentioned details an OTP will be sent to the registered Mobile Number and Email for Authentication. Upload of Documents: Candidates must upload the scanned copy of recently taken passport size photograph and signature. Payment of Registration Fee: The registration fee should be paid by the candidates by category wise through Credit Card/ Debit Card/ Net Banking/ UPI/ Cash Deposit (through e-challan at State Bank of India Branches only. Slot Booking: The Date, Time and Exam Centre can be chosen by the candidate on a first come first serve basis. Print the Final Confirmation Page: Download and take a printout of the final confirmation page of the Application Form. Unable to Download: In case candidates are unable to download Admit Cards from the website, the candidate should approach the Help Line between 10:00 a.m. to 5:00 p.m. The phone numbers of the help desk are available on the website of JEE (Main). Other Centres: Candidate will not be allowed to appear at the exam centre, other than the allotted centre for him/her in their Admit Card. In case of any discrepancy in the particulars of the candidate or his/her photograph and signatures shown in the Admit Card and Confirmation Page, the candidate may immediately approach the Help Line between 10:00 a.m. to 5:00 p.m. from 10.12.2018 to 16.12.2018. In such cases, candidates would appear in the examination with the already downloaded admit card. However, NTA will take necessary action to make the correction in the record later. Exam Centre: The JEE Main will be conducted in all the major cities across India. Choice of Centre: The candidates may choose up to 4 Exam Centre as there choice of location for the paper I or paper II or both paper I and paper II. Availability: The efforts will be made to allocate the city of the exam to the candidates in order of the choice opted by them in their Application Form. However, due to administrative reasons, a different city or nearby area may be allotted. Id Proof: Candidates must carry a valid id proof along with the Admit Card to the Exam Centre without fail. Authority: The decision of the NTA regarding allotment of Centre, date & shift shall be final. No further correspondence or request shall be entertained in such a case. Note: Candidates failing to carry a valid photo ID proof (Aadhaar/ Voter ID Card) with Hall Ticket/ Admit Card to the Exam Centre will not be allowed inside the exam hall. Mode: JEE Main 2019 will be conducted online i.e. Computer-based Test (CBT) and offline i.e. Pen & Paper-based Test (PBT) for Drawing from 7th April 2019 to 12th April 2019. Question Type: The question paper will be Multiple Choice Questions (MCQ) and Drawing (Paper II). Duration: The time given to complete the examination will be 3 hours i.e. 180 minutes. Marking Scheme: Four marks will be awarded for every correct answer and one mark will be reduced for incorrect answers. Medium: The question paper will be in English, Hindi, and Gujarati. Syllabus: The syllabus for JEE Main 2019 will be based on subjects from class 11th and class 12th. Topics: Paper I - Physics, Chemistry (Organic and Inorganic), and Mathematics and Paper II - Aptitude Test, Mathematics, and Drawing. Physics: Physics and measurement, Thermodynamics, Rotational motion, Laws of motion, Electronic devices, Oscillations and waves, Current electricity, Electromagnetic induction, and alternating currents, Optics, Electrostatics, Kinematics, Work, energy and power, Gravitation, Properties of solids and liquids, Kinetic theory of gases, etc. Aptitude: Awareness of Places, persons, buildings and materials, Texture and Objects related to Architecture, Visualizing 3D objects from 2D drawings , Visualizing Different sides of 3D Objects , Mental Ability , Analytical Reasoning, Color Texture, Contrast and Harmony, Building Forms and Elements, 3D- Perception and Appreciation of scale and proportion of objects. Mathematics: Coordinate Geometry, Integral Calculus, Trigonometry, Sequence and Series, Matrices and Determinants, Differential Equations, Sets, Relations and Functions, Complex Numbers and Quadratic Equations, Matrices and Determinants, Permutations and Combinations, Mathematical Induction, Binomial Theorem and its simple applications, Sequences and Series, Limit, Continuity and Differentiability, Integral Calculus, Differential Equations, Co-Ordinate Geometry, Three Dimensional Geometry, Vector Algebra, Statistics and Probability, Trigonometry, Mathematical Reasoning. Drawing: Drawing and Designing of geometrical or abstract shapes & patterns in pencil, Transformation of forms both 2D and 3D union, Elevation and 3D views of objects rotation, Development of Surfaces and Volumes, Generation of Plan, Creating 2D & 3D compositions using given shapes and forms, and Sketching of activities from memory of urban scenes. Books: Candidates can refer to the following books which are recommended by the conducting authority (NTA) for the preparation of JEE Main. Physics: Concepts of Modern Physics (SIE) by Arthur, Sobita Mahajan, and S. Rai Choudhury, Understanding Physics of Electricity & Magnetism by DC Pandey, Understanding Physics for JEE Main & JEE Advanced for Waves & Thermodynamics by DC Pandey. Chemistry: Modern Approach to Chemical Calculations by RC Mukherjee, Organic Chemistry Objective by Arihant, Organic Chemistry by Robert Thornton Morrison, A Master Resource Book in Chemistry by Sanjay Sharma. Mathematics: NCERT Maths 12th Grade, NCERT Maths 10th Grade, A Problem Book in Mathematical Analysis by G.N. Berman, Trigonometry for JEE Main & JEE Advanced by Arihant Publications. Answer Key: After the JEE Main, the NTA will display the Answer Keys & recorded responses of multiple choice questions of Paper-1 and Paper-2 on the NTA’s website www.jeemain.nic.in. Re-evaluation/ Re-checking: There shall be no provision for re-evaluation/re-checking of the results. No correspondence in this regard shall be entertained. Counselling Process: There are 3 counselling processes for JEE Main 15% All India Quota seats viz. JoSAA Counselling (Joint Seat Allocation Authority) manages seat allotment and combined counselling procedure for all the IITs, IIITs, NITs and other Government Funded Technical Institutes (GFTIs). CSAB NEUT is conducted for seats reserved in AICTE approved Institutes in India that are not covered under CSAB for the North Eastern States & Union Territories (NEUT). CSAB SFTI is conducted for admission in Self-Funded Technical Institutes. Seat Allocation: Candidates shall be offered admission based on their choices and All India Ranks of JEE Main 2019 through a Seat Allocation Process. Document Verification: The verification of documents would be done at the time of the Seat Allocation Process/ Admission. The purpose would be to verify different records regarding Identification, Age, Qualifying Examination, State of Eligibility, Category, and Disability (if any) of the candidate. Authentication: Applicants who have Aadhaar card can enter Aadhaar card number, name, date of birth & gender in the online application for JEE Main (April) 2019 as his/her identity and authentication. Mandatory: The exam authority has also made it compulsory for the students to carry Aadhar Card for an Identity Proof. Requirements: Passport number, Ration number, Bank account number or any other Government identity number should be provided by applicants from J&K, Assam & Meghalaya at the time of exam at the exam centre. Note: The use of Aadhaar for the verification by the candidates in JEE Main will enhance the accuracy of the candidates’ details. This will also help in ascertaining the identities of the candidates at the Examination Centres. Aadhaar obviates the need for producing multiple documents to prove one’s Identity. A sample/mock test will be available on JEE Main 2019 website: www.jeemain.nic.in in January/ April 2018-19 for practice purpose and to give the candidate look and feel of the Computer Based Test (CBT). The important instructions to be followed for Computer Based Test (CBT) will be available on JEE Main 2019 website: www.jeemain.nic.in in January/ April 2018-19. During the examination time, the invigilator will check the Admit Card of the candidate to satisfy himself/herself about the identity of each candidate. The candidates are governed by all Rules and Regulations of the NTA with regard to their conduct in the Examination Hall. All cases of unfair means will be dealt with as per rules. The Ministry of Human Resource Development has mandated the NTA to set up, establish and create a network of Tests Practice Centres for candidates, especially in remote and rural areas to enable them to practice and be comfortable in taking a Computer Based Test (CBT). Candidates can register online (on NTA website) where they will be provided a convenient TPC near to their location to practice on a given computer node. This will facilitate and ease the process of being able to take a Computer Based Test (CBT). This facility will be completely free of cost. The entire experience of using a computer will be as close to the actual experience of taking a CBT. All efforts will also be made to provide practice tests and questions so that candidates can familiarize themselves with logging into the system, go through the detailed instructions regarding the test, use the mouse or numeric keyboard on screen (virtual) for attempting each question, scroll down to the next question, navigate between questions, review and edit their options and submit questions. Q: Who will hold JEE Main from now, CBSE (Central Board of Secondary Education) or NTA (National Testing Agency)? 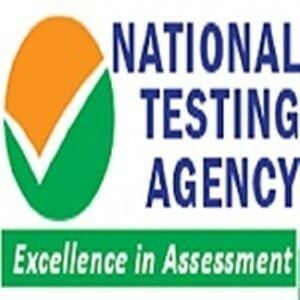 The National Testing Agency (NTA) will be the conducting authority of the examination JEE Main. Q: What is the latest news about JEE Main 2019? The mode of examination is online, that is computer-based. Only Paper 2 will have an offline mode where the candidates have to draw. NTA is the conducting authority for JEE Main 2019. Q: How should the photo be uploaded to the JEE Main 2019 Application Form? As per the rules, candidates have to upload the photo with their name and the date of the photograph taken. The authorities have all the rights to cancel the application form of JEE Main 2019 if it is not mentioned this way, even if they did not cancel it, the candidate might face some issues in the future. Q: When will the NTA announce the results of JEE Main 2019? JEE Main 2019 Results will be announced to the candidates on 30th April 2019. Q: How many times JEE Main is conducted? JEE MAIN is conducted twice, one in the month of January and one in the month of April. JEE Main Exam date is notified by the conducting authority few months before the exam on the official website of JEE Exam. Q: If someone has cleared the JEE Main, can he/she appear JEE Main 2019 for improvement? Candidates are allowed to appear for the JEE exam for improvement, even though the person has graduated in the year 2018. Q: Will the syllabus and exam pattern change due to the exam is conducted by the National Testing Agency? No, the Syllabus for JEE Main 2019 and Exam Pattern remain the same. The examination has Paper 1 (B.E and B.Tech) and Paper 2 (B. Arch and B. Planning), the candidates are supposed to write the exam for either Paper 1 or Paper 2 or both depending on the courses they opt for admissions. Q: How do I pay the application fee for JEE Main 2019 online? JEE Main 2019 Application Form Fee can be paid after the registration is completed, you will be diverted to a protected secure portal. Candidates should pay using credit/debit card or by net banking an account in the event that they are electing to pay the application frame charge on the web. After filling up the details in the fields provided on the payment screen, click on "Pay". Candidates are advised to take a printout of the Acknowledgement slip as a proof of payment of their JEE Main 2019 application form fees. Q: What are the documents to be uploaded while filling up the details in JEE Main 2019 Application Form? Documents that are required to be uploaded for JEE Exam are the candidate’s photograph, digital signature, and their parent’s or guardian’s signature. Q: Is Aadhar Card necessary for JEE Main 2019? No, the National Testing Agency (NTA) has decided that the examinations such as UGC NET/ JEE Main do not require Aadhar Card numbers mandatorily. Candidates can furnish details such as their ration card number, bank account number, passport number, etc. They have clearly mentioned that the Aadhar Card will only be one of the options in the dropdown list and not mandatory anymore. Q: What if the candidate requires any technical assistance during the exam? There will be trained professionals available in the JEE Main exam centres to assist the candidates during JEE Main 2019. Q: Is it possible for a candidate to change his/her answer during the examination? Yes, it is possible. One of the benefits of a computer-based examination is that students can change their options/ answers during JEE Main 2019. In order to prepare for the examination, the official website of JEE Main 2019 will conduct mock tests to test the knowledge of students appearing for the exam. All the JEE Main Information will be available on the official website as well. Q: What are the browsers recommended to apply the application form of JEE Main 2019? The recommended browsers to fill in the details for JEE Main 2019 are Google Chrome and Mozilla Firefox. Candidates are advised to use faster Internet Connections to ease the process of applying for the exam. Q: Will the candidates be provided with rough sheets to work on in JEE Exam 2019? Yes, the invigilators at the JEE Main 2019 Exam Centres will be distributing the rough sheets to the candidates so that they will be able to do the calculations. Q: How will the candidate get the Admit card? The JEE Main 2019 Admit Card will be available to the candidates on the official website of JEE Mains exam 2019. Candidates are requested to visit the official website to download the hall ticket for JEE Main 2019. There will be an option stating ‘Download Admit Card of JEE Main 2019’. Click on it and the download will stop automatically. The answer keys for the different sittings for JEE Main Exam 2019 are given below in the table. These JEE Main Answer Keys 2019 are released by Resonance. You can view and download the PDF files easily. You can also Challenge JEE Main 2019 Answers by referring to the answer option IDs. Hence, you are requested to go through the answer keys as quickly as possible to avail the opportunity to increase your JEE Main 2019 Score. The official JEE Main 2019 Question Papers and their JEE Main 2019 Answer Keys are provided below. 10+2 (English Medium) examination conducted by Central Board of Secondary Education or equivalent examination from a recognized board in Science stream with an overall aggregate of minimum 60 %. Must appear in JEE Main 2019. The typical cutoff for my course may be about 90%in maths and I don't know the eligibility criteria and admission procedure for this course bcoz I gave jee main exam this year. About 75% Marks in board examination should be there to appear in JEE Main examination. As a diploma student in mechanical engineering, I had a cut of 80%. I took the JEE Main exam. For admission, you need to visit the website and fill their admission for. You can also visit the campus and register. The Admissions in Dr CV Raman University were confirmed on the basis of entrance exams such as JEE Main and AJEE. Candidates need to acquire a minimum of 60% marks to get the admission and a minimum of 55% marks for BBA Courses. After the entrance exam, a counselling session is conducted and admissions are confirmed. Well, I appeared in JEE Main as well as IPU CET and obviously, my preference was to study in Delhi only. I scored avg rank in IPUCET and hence couldn't get through the top 3 colleges of it. Apart from those colleges, I didn't find any college worth studying so I chose to get any good college in NCR where I can do up-down on daily basis. SRM NCR campus I found better in any terms as compared to other colleges in NCR at that time, being brand value, infra, placements etc. So I approached directly to the college and based upon my AIEEE exam and past academic results they offered me IT and not CSE, although my first preference was CSE only I agreed to go with IT. Can I get admission in BIT Mesra as my JEE Mains score is 140? You have very less Chances but you can try your luck. Click here to know about JEE Main cutoffs. Can I get CSE at SASTRA University? I got 64 marks in JEE Mains. You have a good chance of getting admission in SASTRA University through JEE Main. How can I crack JEE Main 2018 in 3 months? JEE Main which is considered to be the biggest Engineering Entrance exam in India sees almost 15 Lakh registrations every year out of which only 2.24 lakh students get qualified for JEE Advanced. And this qualification too does not guarantee an admission to NITs or IITs. Hence, the competition for JEE Main is very high. A good preparation strategy will pave way for candidates to crack JEE Main. Given below are 10 effective tips which would help candidates to plan their work and to crack JEE Main. Students who are preparing for JEE Main should analyze themselves and know their own strengths and weaknesses. If you are strong in a particular topic, then concentrate only on MCQs for that topic rather than wasting time on the theory part for that topic, by which you can save time, which in turn can be devoted for subjects which you are weak in. Students should try to solve a problem in the shortest way possible, by which you can save time. For example, some problems can be solved in a few seconds without using the formula, whereas the formula method takes several minutes. Hence, candidates should be aware of all possible methods to solve a problem and use the one which consumes lesser time. There are 90 questions in JEE Main which are supposed to be solved in 180 minutes. Hence, on an average, you can take 2 minutes per question. However, there are some questions which are in a theoretical format, and arriving at answers to such questions takes less than 30 seconds. By answering such questions quickly, you can save time for questions which involve complex mathematical steps. It is certainly not possible to complete the entire syllabus of JEE Main overnight. Even if you are starting late, and have a month/ few months left, still you can crack JEE Main by preparing only for selected topics which you are strong in. You can make a timetable for yourself and prepare accordingly. Make sure that you do not skip schedules. Even if you have several months left for preparation, working out your own schedule would still help as you can work more productively and even keep track of topics which you’ve covered. Though you have a good knowledge about each and every topic mentioned in the syllabus, you still might not have knowledge of the types of questions being asked in the exam. Hence, you must take mock tests that are conducted online. You can even get copies of previous year question papers and try solving them within a stipulated time. This enhances your speed and time management skills to a great extent. These mock tests also help you to get familiar with the exam pattern and the types of questions being asked in the exam. Try to improve your score during every subsequent try, as the saying goes “Practice makes a man perfect”. You can take notes for every topic while preparing, as you can use the same notes for revising a day prior to the exam day. By doing so, you can ensure that you don’t miss out any topic which you’ve prepared. At all times during the exam, never forget that for every wrong answer, 1 mark is reduced. It is not mandatory to answer all the questions. Hence, you can omit questions which you are not confident of, and start solving other easier ones. For example, if you’ve got 30 answers right and 40 answers wrong, then your marks would be 80. In the above scenario, 40 marks are lost due to negative marking, which can be avoided. Hence, concentrate only on questions which seem familiar and simple. Then if time permits, you can try answering the tougher ones. By this, you can save both time and marks. How to get admit card for JEE Main? I have applied for JEE Main 2018. How can I get the admit card? Hello, you can download your admit card from the official site of JEE Main 2018 using your registered account. Thanks for reaching us. What is the total duration of the examination? I want to know the total duration of the JEE Main 2018 examination. Could you help me with it? There are two papers in JEE Main examination Paper-I and Paper-II. Both the papers have to be completed within 3 hours. Thanks for reaching us. I have applied for improvement in 2017. When do I need to fill the Class 12 Roll No? The facility will be open from the last week of May or 1st week of June 2017. Candidates can choose which result they wish to be considered and enter the respective Roll No. What is the age limit to write JEE Main? Hi, I completed my 12th study in 2016. Am I eligible to write JEE Main 2018? Hi, Nithin. You are very well eligible to write JEE Main 2018 Examination. All the Best. I belong to OBC category. Can I avail the reservations? As per rule from CBSE, every OBC candidate must check the OBC National List. If it is not mentioned in this list it means that it belongs to the State list. So OBC Candidates who are not in OBC – NCL central list must choose General in their category. They cannot avail any reservations. For the state admission, however, they can apply under their category and avail the reservations. If my surname or details in the name don’t match my school records, what should I do? Hello, Parineeti thanks for showing interest in JEE Main 2018.
and the apply using the 14 digit Aadhaar Enrolment ID/UR No. Aadhaar Card Number failure but the details submitted by me are correct. What can I do to correct? Hello, my name is Sangeeta, Aadhaar authentication failure but the details submitted by me are correct. What can I do to correct this? Don't Worry, Sangeeta, this means that the Biometric details in your Aadhaar Card are incorrect. Get it corrected from the center and until then use the 14 digit Aadhaar Enrolment ID/UR No. to apply.